Once Upon a Fad...: Bop It BABY!!!! Though the Bop It came out in 1996 during my elementary school years, it is well-worth mentioning. Bop it. Pull it. Twist it. Pull it. Pull it. Pull it. Then it got extreme. 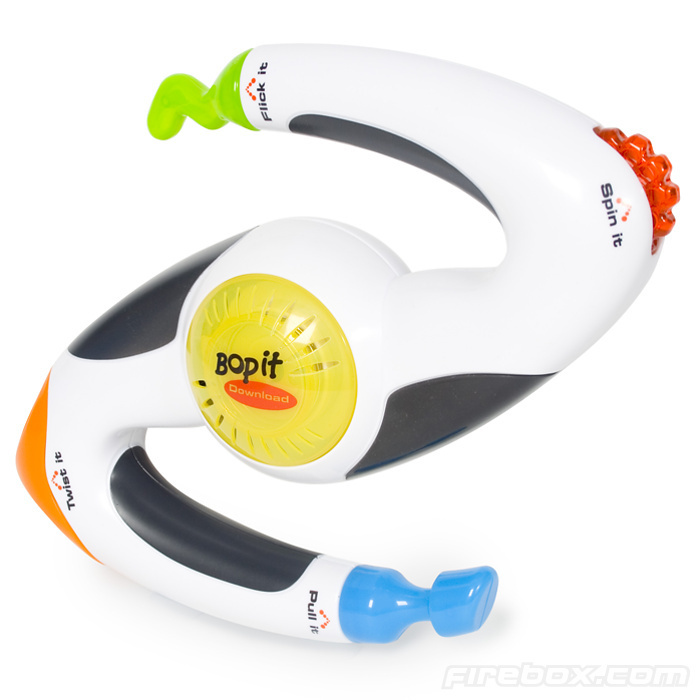 The options went to: bop it, pull it twist it, pass it, spin it, flick it or pass it. This was a challenge. It really got to be a complex mind game memorizing how fast and in what order the functions were in. Craziness! Look at that new and improved baby. 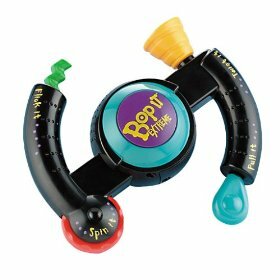 It would probably be really hard for us kids who grew up with the original Bop It Extreme because all of the functions are all out of order [sneaky manufacturers!]. The only question I have about the Bop It is did anyone ever win??? 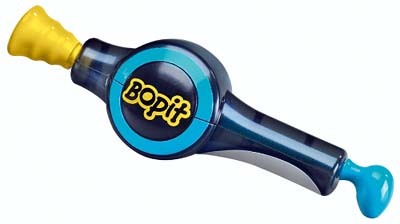 Like seriously, I am determined to know if any single person I knew ever reached an end that was like "YOU WIN THE BOP IT. NOW GO DO SOMETHING ELSE." Really though, that did the game ever max out? Anyone?? I particularly thought they should've added a Poke It mini spin off to the Bop It. I was amazing at the Bop It. I particularly liked the extreme one because you could flick it and spin it. I also had a keychain of the Bop It and it was a pretty big deal. I wouldn't have made it thru first grade without my Bop It. you are absolutely right. they are trying to mess with ya! This would make a great drinking game. Bop it was really fun and I never actually won. Just got the scream when I lost. 250 was the original Bopit Extreme "Congratulations" or something to that effect, I achieved it once.